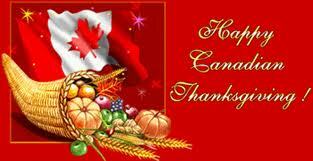 Today is Thanksgiving Day in Canada. We had our turkey dinner last night. I like to have our turkey on the Sunday of Thanksgiving Weekend so that the kids do not have to worry about fighting traffic when they go to head home at the end of the evening. Also, it is nice to have the holiday Monday to relax after the preparation of that big meal the day before. We have had exceptionally good weather for quite some time. Chilliwack has recorded the driest August in 82 years and the driest September in more than 133 years since the start of weather records in 1879. In September we had just 6.6 mm of rain which all fell overnight on September 10 and 11. The 30 year average for rainfall for August is 64.8 mm and for September is 112.7 mm. The last day of significant rainfall for us was July 23. Further temperature records that were broken were 31.8 degrees on September 8 and 30.5 degrees on September 17. Because of the fantastic weather, we were able to enjoy our Thanksgiving dinner outside. This will likely be our last picnic in the backyard for the season. The weather forecast is supposed to continue through the week with a change in the wind for next weekend. We have enjoyed this unusual run of dry weather. Yesterday, while waiting for the turkey to cook, I put the last of the stitches in the binding of my fall rail fence quilt. This quilt finished at 68″ x 86″. Happy Thanksgiving to all my fellow Canadians! I have a bit of time while I wait for the turkey to cook and before I have to turn the vegetables on so I can update you on the progress of my current project. This morning I was busy working on my husband’s fish quilt. I am determined to move this one off my UFO list. I finished the inside portion of the quilt and I am now ready to add the borders. Tomorrow is the Thanksgiving stat holiday here so I will not be going in to work. I hope to be quilting tomorrow–putting the borders on this quilt!